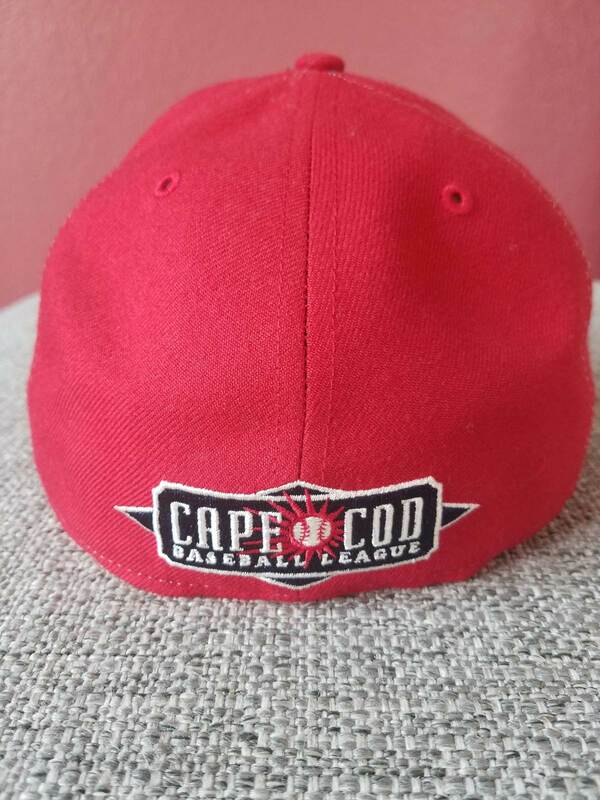 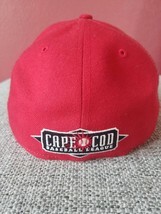 Official Cape Cod Baseball Leage '47 brand fitted flat brim baseball cap. Size 7 1/8. 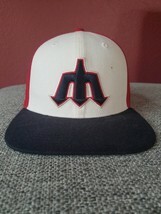 Red with white front and navy blue brim. 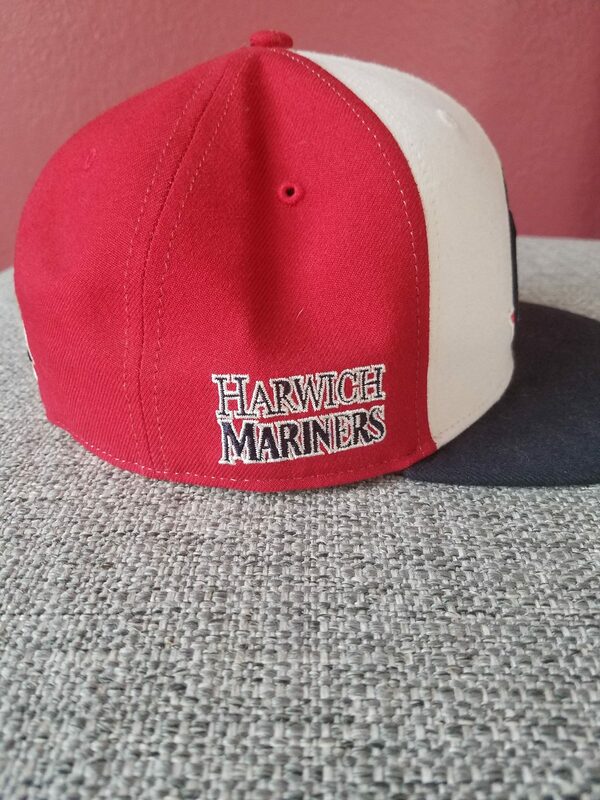 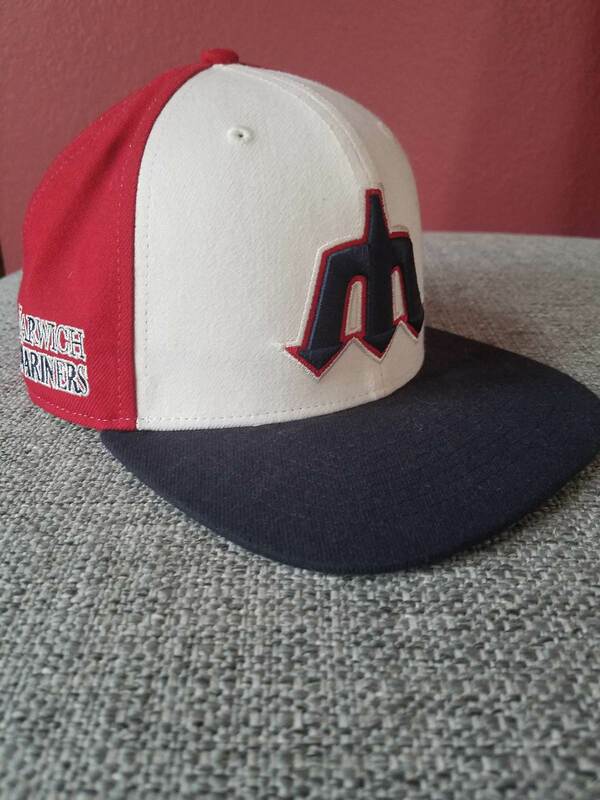 Features stiched Harwich Mariners logos on front and side, Cape Cod league logo on back.